Provide comfort for the family of Pennie Alspaugh with a meaningful gesture of sympathy. 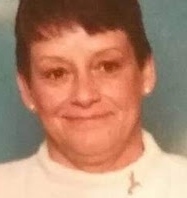 Pennie Elaine Browning Alspaugh, age 71 of Mount Hope, WV went home to be a flower in the Master’s Bouquet on January 20, 2019. She was born on February 12, 1947 in Boomer, WV, the daughter of the late Earl and Helen Harrah Browning. Pennie was of the Christian faith. In addition to her parents she was proceeded in death by her brother Paul David Browning, a sister-in-law Marie Browning, a granddaughter whom she never met, Jerisha Elaine Letchford, who is a little angel in Heaven waiting for her Mom-Maw to get to Heaven to rock her. Survivors include her husband Paul Alspaugh of Mt. Hope, daughters Raelisa Letchford and Sherleda (Sherry) Burns both of Mt. Hope, a very special son-in-law Jeff Burns of Mt. Hope whom she loved like her own son. Grandchildren Adam and Katlyn Stover Burns of Mount Hope and Tristian and Makayla Laramee have always been the sunshine of her life. She is survived by her first great grandchild, Baby Laramee. She is also survived by sister Pauline Buckley and husband, Fred of Mt. Hope, brother Keith (Poogie) Moore and his wife, Cindy of Hagerstown, MD, several nieces, nephews and her Fur Babies. Services will be Friday at 1:30 pm in the chapel of High Lawn Funeral Home of Oak Hill. Friends may call beginning at 1:00 until time of service. Her final earthly resting place will be at Blue Ridge Memorial Gardens in Prosperity. Pennie always said that where she is going there will be plenty of beautiful flowers, so in lieu of flowers please donate to your church or favorite charity. She also said that she will be waiting for her wonderful family and friends to join her for a glorious reunion. To send flowers in memory of Pennie Elaine Alspaugh (Browning), please visit our Heartfelt Sympathies Store. We encourage you to share your most beloved memories of Pennie here, so that the family and other loved ones can always see it. You can upload cherished photographs, or share your favorite stories, and can even comment on those shared by others. Provide comfort for the family of Pennie Elaine Alspaugh (Browning) by sending flowers. Sherry and family.So sorry for your loss. May God give you strength each day,peace in your heart and wrap you in his love.My prayers and love always.